We are a full line awards and engraving shop which can assist you with all your personalization needs. In addition, to the awards side of things we still carry a line of cross country and downhill ski packages. Stop in and let us show you how our personal service makes a difference. I helps people create meaningful scrapbook and memory albums. I offer workshops and retreats and help them accomplish their goal. I sell high quality photo albums and supplies. 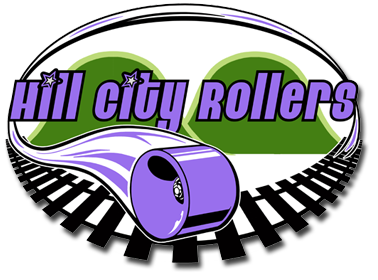 Not for profit, grassroots, skater-operated roller derby league with members in Delaware, Otsego, and Schoharie counties. We foster athleticism, camaraderie, and confidence in our team members. To watch a bout, visit their home turf at Interskate 88! For over 100 years, Oneonta Country Club has been part of the landscape of New York’s famed Leatherstocking region. 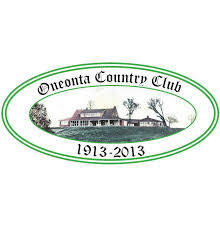 Nestled deep within the region’s picturesque valleys, Oneonta Country Club’s tree-lined fairways and quaint covered cart bridge in the woods highlight a course steeped in history. Its varied terrain and beautifully sculpted greens offer golfers a memorable experience, including the remarkable 10th and 11th common tee, where golfers tee off for both holes before playing the 10th…a truly one-of-a-kind design! The clubhouse features the Roundhouse Pub & Grill and a stellar view of the valley below. A member of the Perfect Game Collegiate Baseball League, we are proud to play in the historic Damaschke Field. Opening night 2019 is May 31st! 50th Reunion of 1969 O-Yanks is July 12th and 13th! Don’t miss it! Owners Gary and Karen Laing look forward to seeing you and enjoying America's favorite past time; baseball. The Y makes accessible the support and opportunities that empower people and communities to learn, grow, and thrive. With a focus on youth development, healthy living and social responsibility, the Y nurtures the potential of every youth and teen, improves the nation's health and well-being, and provides opportunities to give back and support our neighbors. The Oneonta YMCA has 2 heated swimming pools, a spin studio, cardio and weight rooms, a fitness studio, locker rooms with saunas and whirl pool tubs, family changing rooms, and certified instructors. We are ADA compliant and offer wifi, vending machines, coffee, and easy access to parking. Come see all that we have to offer to you for the mind and body today. Located at the entrance of Fortin Park, Oneonta World of Learning (OWL) is a children's museum dedicated to creating opportunities for children and their families to learn through hands on play. OWL has open hours on-site and also partners with other organizations for larger community events. Highlights include giant blocks and engineering components, science activities, arts & crafts, thematic exhibits, sledding in the winter, outdoor exploration kits, an imagination trail, and more! Owned and operated by Ed Lorenz and is a full service store featuring Specialized bicycles and accessories. We carry a full range of Specialized bicycles - road and off-road, competition, casual recreation and commuting. We also stock a complete line of children's bicycles. Visit our locally owned business in Oneonta, New York, to pick out the perfect new bicycle, get service work done or have questioned answered by our experienced staff. Table Rock Bouldering provides a friendly facility for the local community to explore a unique form of fitness. The social space is suitable for anyone seeking elevated fun—newcomers and experts alike. Visitors are encouraged to learn new skills and expand their abilities in a positive atmosphere. Table Rock Fitness is a locally owned and operated 24/7 fitness facility in Oneonta. Our gym is over 9000 square feet with a diverse collection of fitness equipment from Life Fitness, Hammer Strength, Rogue, and more! Amenities include showers, locker rooms, and a smoothie bar. We are committed to being a gym for everyone in our community. Whether you exercise everyday or you’ve never stepped into a gym before, Table Rock Fitness can help shape the new you. We offer a selection of affordable membership options and personal training services to help you meet your wellness goals.